Gov't Mule has showcased its virtuosity, intelligence and breadth over the course of 15 studio and live albums, millions of album and track sales and thousands of performances. The flexible interplay amongst front man Warren Haynes, drummer Matt Abts, keyboardist Danny Louis and bassist Jorgen Carlsson makes them a true living, breathing ensemble. 20 years strong, Gov't Mule's vast reservoir of songs has become a human encyclopedia of great American music while adding to that cannon with their signature sound. 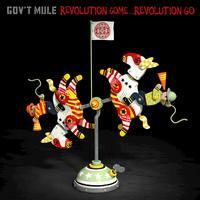 "Revolution Come, Revolution Go" is the latest release and Fantasy Records debut from the band fronted by one of music's most treasured storytellers and most formidable guitarists and vocalists in the modern era.